Bangkok (Thailand) – January 14, 2019 (travelindex.com) – The Thailand Tourism Forum (TTF) will return for its eighth edition on January 21st, 2019, with an action-packed agenda focusing on the mega-projects that are currently transforming the tourism landscape in Bangkok and beyond. Running under the theme “Managing Tourism – Ensuring Great Experiences and Sustainable Outcomes,” Thailand’s largest annual hospitality event has already secured a record audience of 850 tourism and hospitality industry leaders at the InterContinental Hotel Bangkok for a full afternoon of interactive and informative on-stage sessions. The keynote speaker at TTF 2019 is Ms. Supaluck Umpujh, Chairwoman of The Mall Group Co., Ltd, who will discuss the “Importance of Retail, Entertainment & Hospitality – Better Tourism Experiences” alongside Charles Blocker, CEO of IC Partners. 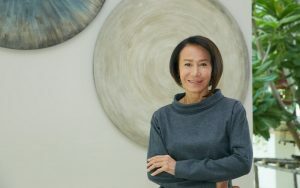 In her role as Chairwoman of one of Thailand’s largest retail operators, Miss Supaluck oversees some of the Kingdom’s biggest attractions including The Emporium, EmQuartier, Siam Paragon and The Mall in Bangkok. The Mall Group also recently announced a landmark strategic partnership with AEG, the world’s leading sports and live entertainment company, that will include multi-billion-baht investments in two world-class arenas – “EM Live and BANGKOK ARENA”. TTF 2019 will zero in on how Thailand’s tourism sector is getting a massive makeover. With international visitor arrivals continuing to shatter all previous records and Bangkok becoming the world’s most-visited city*, the half-day event will examine how the country is developing new infrastructure and facilities to cope with the influx. These include huge integrated tourism projects, vast retail attractions, branded theme parks, urban transport networks, airport rail links and more. “TTF 2019 comes at a critical crossroads for Thailand’s tourism industry. As growth rates continue to soar, the country needs to evolve and expand its tourism infrastructure to cope with rising demand. TTF 2019 will focus on the major new developments currently taking place in the Kingdom, while looking ahead to the future and discussing how Thailand’s tourism industry should be managed to ensure its long-term success,” said Bill Barnett, Managing Director of C9 Hotelworks and co-organiser of TTF 2019. “We are delighted to confirm Khun Supaluck as the keynote speaker of TTF 2019. With The Mall Group, she has transformed the concept of the mall from a retail experience to an integrated tourism, shopping and lifestyle destination. This is reflected by the recent partnership with AEG, which will create world-class experiences and attractions. I am confident that her vision and expertise will provide genuine insights for our audience,” he added. Following an opening address by Bill Barnett on the topic of “Managing Tourism – Growth & Sustainability,” other key speakers at TTF 2019 will include Robert V.R. Hecker, Managing Director of Horwath HTL and Rahul Mittal, Director of Cistri (Urbus), who will address the “Essentials of Master Planning;” and Jesper Palmqvist, STR’s Area Director for Asia Pacific, who will provide an update on Thailand’s hotel performance and outlook. David Keen, CEO of QUO, and Stephan Roemer, CEO of Diethelm Travel Group, will look at “Destination Marketing – Thailand & Overseas Best Cases;” Nikhom Jensiriratanakorn, Director of Horwath HTL, will talk about “Thailand’s Rail System Plans & Reality;” Nihat Ercan, Head of Investment Sales at JLL Hotels & Hospitality Group, will address the subject of investments with a session entitled “A World View of Hotel Costs – Develop or Acquire?”; Eric Ricaurte, founder & CEO of Greenview, and Prae Piromya, GM of Planning & Operation, Sustainable Development Office at the Central Group, will discuss “The Great Debate – Does Green Pay?,” and Eric Levy, Managing Director of TSI, and Clarence Tan, Managing Director SEA & Korea at InterContinental Hotels Group, will lead a session of attractions called “Hey Neighbor, Can I Borrow Your Waterslide?”. Finally, Wimintra Jangnin, Editor-in-Chief at Hotel Intel will look at “Chindia” (China and India), which currently account for approximately one-third of Thailand’s total overseas arrivals. Organized by the American Chamber of Commerce – Thailand (AMCHAM) and C9 Hotelworks Hospitality Consulting Group, TTF 2019 is free-to-attend. The event will conclude with an evening cocktail party, hosted by the InterContinental Hotel Bangkok, providing opportunities for networking.